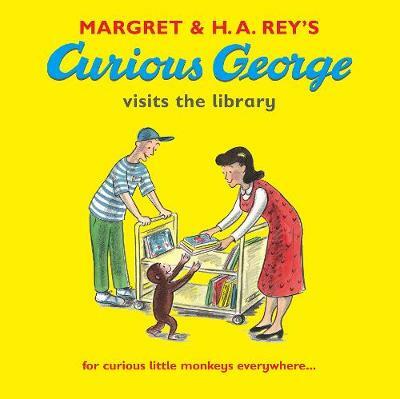 Curious George's chaotic adventures continue when the inquisitive monkey visits the library in this young, fun picture book. The man in the yellow hat takes George for his very first visit to the library. George can't believe how many books there are and loads up a trolley with his favourites, but the trolley picks up speed and crashes - what a mess! With the help of the librarian and the other children, the books are all picked up and sorted out, and George is left with a small pile of his favourites. He is even given a new library card so that he can borrow some more when he visits again.